We are in the final stages of completing the redesign of our site and application (IOS and Android). We are targeting going live in November. Below is a snapshot of our new home screen. The numbers next to the countries represent the number of bottles in our database from each country. This will grow fast because we are working with some great retailers in San Francisco, Los Angeles and New York. We are also looking for retail partners in Chicago and Texas. We will keep you posted as we near the release date. 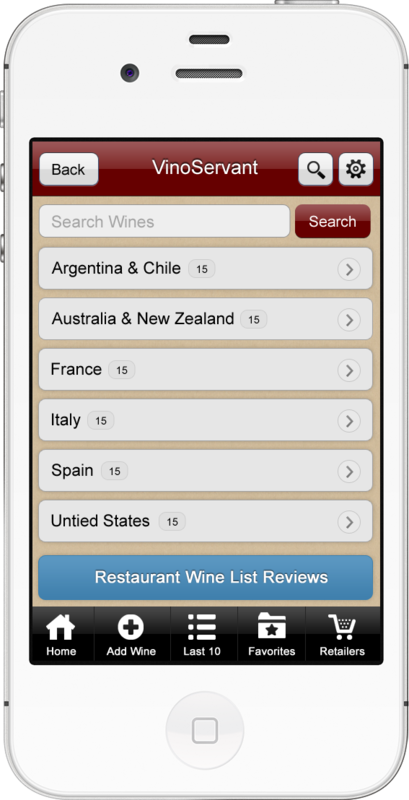 ← Where are the Wine List Reviews?